New GDSA case studies of implementation in Africa! A look at the innovative Chyulu Hills REDD+ project in Kenya that has managed to connect nine different landholders, including four Maasai group ranches and two government agencies! 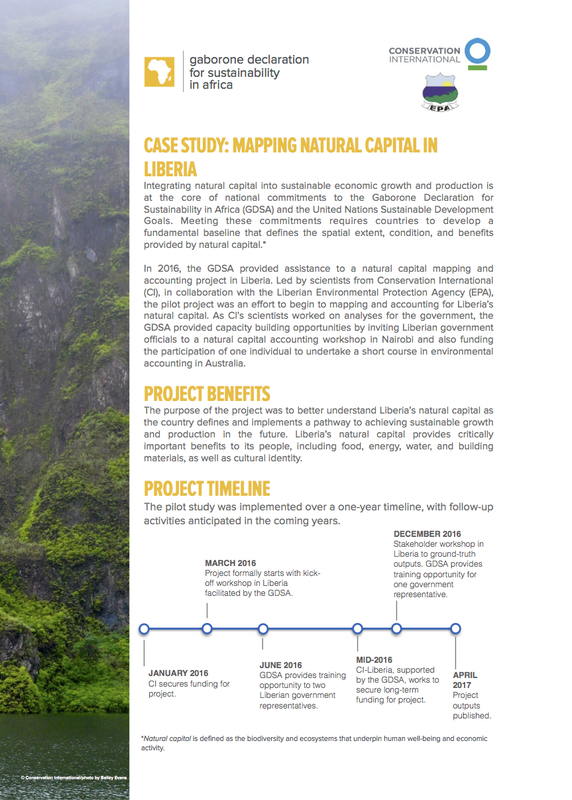 Examining how a one-year pilot on mapping natural capital and ecosystem accounting helped inform decision-making in Liberia. 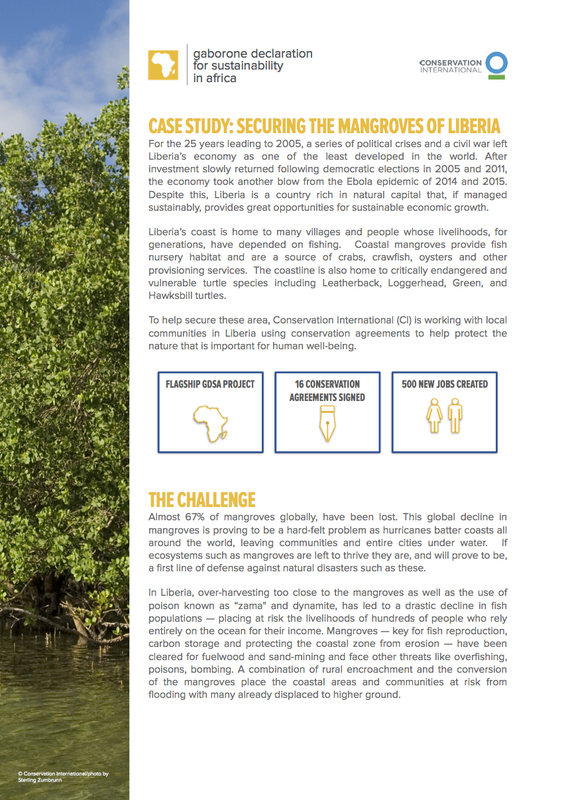 A case study on how Conservation Agreements in Liberia have helped protect mangroves while creating 500 new jobs. 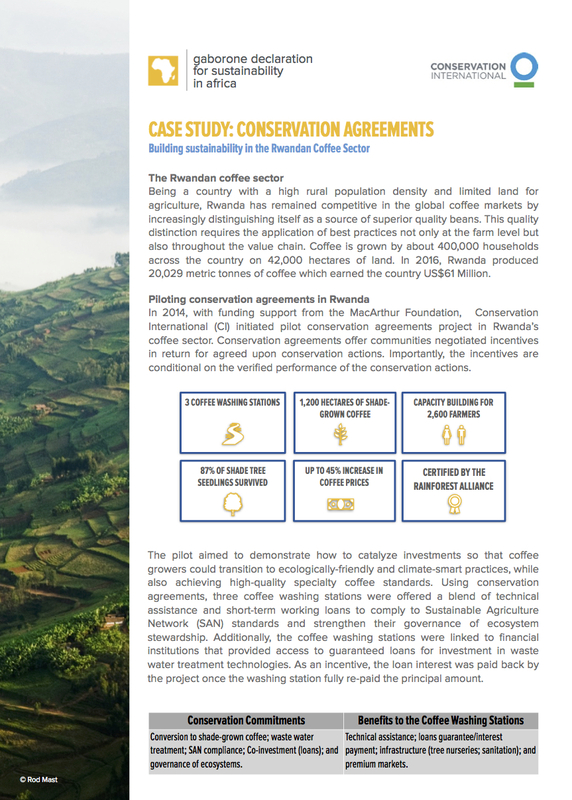 Conservation Agreements helping to get three coffee washing stations Rainforest Alliance certified in Rwanda! The Sustainable Coffee Challenge works across the world to connect the coffee sector! 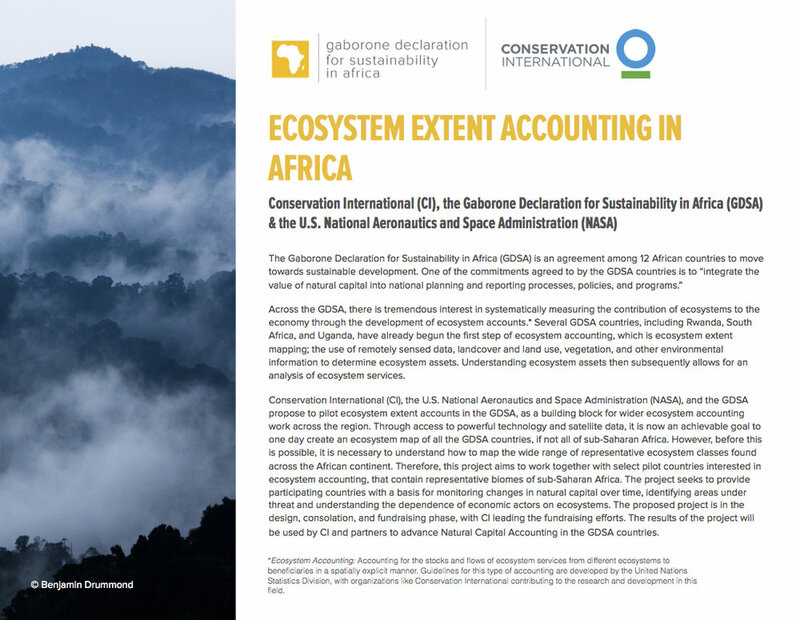 A collaborative project between the GDSA, Conservation International, and the US NASA on ecosystem accounting. Interested in seeing the past case studies that the GDSA has produced? Check out this link on our website!